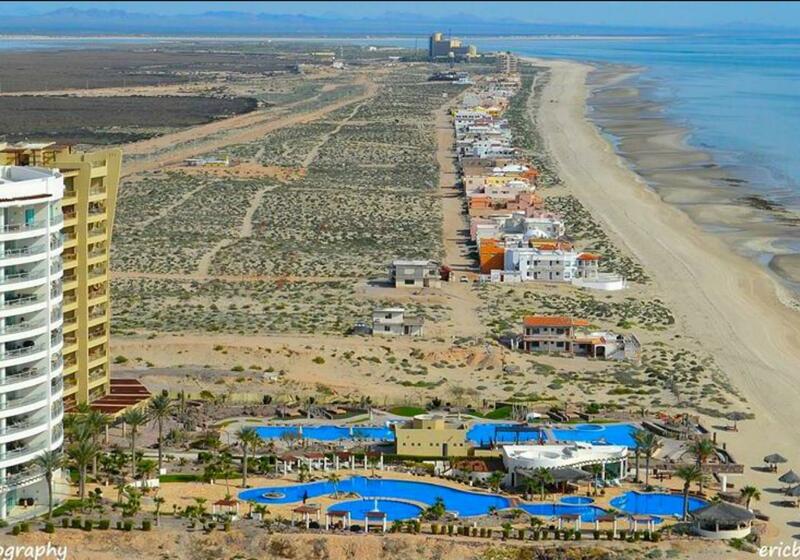 Fabulous opportunity to live in luxury and security on the Sea of Cortez. Luna Blanca Resort is a low density luxury condominium tower with 24 hr security and all inclusive amenities like; 3 pools, 2 spas, fitness room, sauna, snack bar/grill, tennis court, internet and of course directly on the beach. This luxurious condo is tastefully decorated and furnished and is move in ready. Enjoy the spectacular views from the 6th floor. Features include granite counter tops, marble floors throughout, emote controlled window coverings on all windows. Titled in a Bank trust with an LLC for low buyer closing costs. Seller will consider financing. Located just 2 miles from the Grand Mayan. Owners have special privileges at the Mayan and the beautiful Jack Nicklaus signature La Peninsula Golf Course.